Jersey Sports Zone is proud to announce the five finalists for the 2019 Mr. 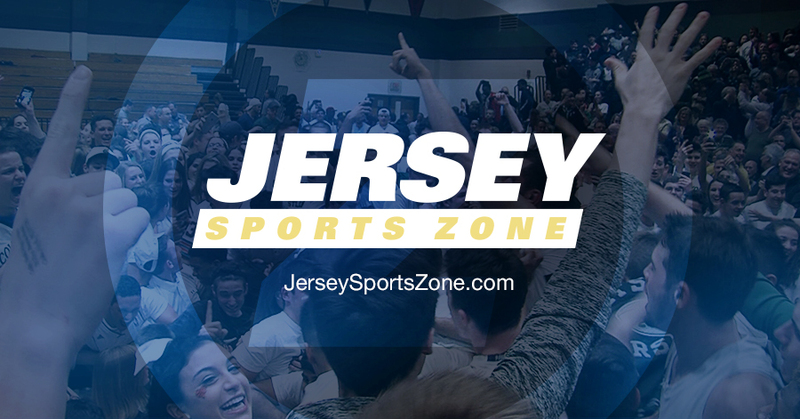 Hoop Zone Award, our boys basketball Player of the Year voted on by various coaches and media from across the Garden State. The winner will be announced on Wednesday, March 20 during JSZ’s second annual All-Zone Basketball Banquet at the Renaissance Hotel in Woodbridge. Watch our profiles of these five outstanding players and learn more about JSZ’s top basketball honor. Be sure to check out our Miss Hoop Zone finalists as well! This Villanova University bound four year starter has been the hype surrounding one of the most up and coming programs in New Jersey. Bryan Antoine dazzles fans with his electrifying dunks and quick scoring, but it’s his play in games that matters most. Antoine capped of a season in which he received McDonald’s All-American honors, became the Shore Conferece’s All-Time leading scorer with 2,481 points and led Ranney to a State Title with the program’s first ever Tournament of Champions crown. When Kahlil Whitney takes the floor, the price of admission feels like a steal. One of the state’s three McDonald’s All-Americans this year, Whitney is a versatile player that is willing to do whatever to help his team win. After making the move from Chicago to NJ to play for Roselle Catholic, Kahlil put the country on notice with his heart stopping slams and signature spin move to the basket, even earring an offer from the University of Kentucky. He will continue his basketball career as a Wildcat after leading RC to back to back Union County and State Sectional Titles. One half of “The Greatest Show in Monmouth County” Scottie Lewis was the other key component in Tournament of Champions winners Ranney’s historical run. Lewis much like his counterpart Bryan Antoine has spoiled the Garden State the last four seasons with a barrage of dunks that will forever be embedded in the minds of high school basketball fans. The McDonald’s All-American will continue his college career as a Gator at the University of Florida. 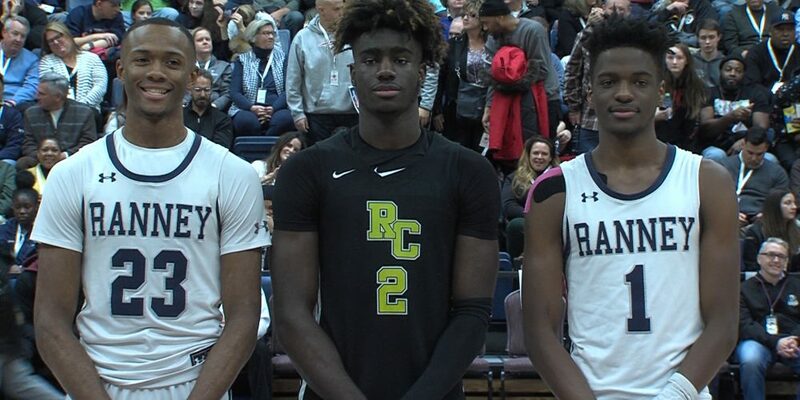 Not often two sets of teammates share the podium for our highest basketball honor, but this year it was undeniable that Josh Pierre Louis was a game changer in New Jersey. Roselle Catholic’s point guard who garnered national attention this season helped lead the Lions to another County and Sectional Title with his 69 steals and 14.2 PPG. After recently de-committing from the University of Las Vegas, Pierre-Louis has reopened up his college recruitment and has offers from Georgia, Temple, Rutgers, Seton Hall and many more! Two words say it all about this next nominee, “Headband Highlights”. 6’6 Paul Mulcahy is one of the most interesting players on our list for the simple reason you don’t see consistency like this every day. Mulcahy led Gill St. Bernard’s to the Non-Public North Final in a season in which he averaged a Triple Double! The Bayonne native plans to keep exciting New Jersey in his college career when he laces it up for Rutgers University next year.